Welcome to The Freund Group's blog spot! We are a real estate group with a combined total of over 50 years of experience helping buyers and sellers in all aspects of residential, commercial, as well as, investors, foreclosures and short sale transactions. Whether you are thinking of buying or selling a home, our helpful resources and tips will help you through the process. Our blog spot will feature stories of events around the Houston area, the housing market trends and the benefits of investing in Houston real estate. Please feel free to ask questions or voice a concern in the comment section. Clear Lake Forest is conveniently located near HWY 146 with easy access to 288. You are never too far from entertainment, shopping, recreation and more. Kemah Boardwalk is located just a few miles away. You will never have to travel too far for all your needs. There were homes 33 sold in Clear Lake Forest in 2017 ranging in price between $191,500 to $320,000. The average days on the market for homes sold in Clear Lake Forest was 32 and the average price per square foot was $97.70. Students living in Clear Lake Forest attend Clear Creek ISD. Elementary students attend Robinson Elementary School. Middle schoolers attend Seabrook Intermediate and high school aged students attend Clear Falls High School. Students living in Clear Lake Forest attend Clear Creek ISD. Elementary aged students attend Falcon Pass Elementary. Middle school aged students attend Space Center Intermediate and high school students attend Clear Lake High School. Clear Creek Independent School District ranks #24 in Best School Districts in Texas and #244 in Best School Districts in America according to Niche.com. It is ranked #5 as Best School District in the Houston Area. You may also be interested in our blog : Should I paint my house neutral colors when selling? Also, Read our blog about whether you should replace your carpet when selling you home, whether to convert your garage into a room or not to, and things you should do to get your home ready to sell. For more information about Real Estate, Tips and Advice and Local Real Estate News check out our Facebook page! Bay Colony is conveniently located just minutes away from I45 so getting around is easy. Located 20 miles from Galveston and 20 miles to downtown Houston you are never too far from home. Bay Colony is located close to entertainment, daycares, grocery stores, restaurants and more. You never have to venture too far from home if you do not want to. There were 111 homes sold in Bay Colony in 2018 ranging in price between $116,000 to $256,000. The average days on the market for homes sold in Bay Colony was 40 and the average price per square foot was $106.15. Students living in Bay Colony attend Dickinson School District. Elementary students attend Bay Colony Elementary, Calder Elementary or Lobit Elementary. Middle school aged children attend Dunbar Middle School or Lobit Middle school. All high school students living in Dickinson attend Dickinson High School. Dickinson Independent School District is an accredited school district and all school have met the academic standard required by the state. The Dickinson ISD Mission Statement is to ensure that all the students have safe and successful learning opportunities that help them reach their full potential and add quality throughout their lives. If you are looking to purchase a home in Bay Colony give the Freund Group a call 281-479-6683. Shady River is a great neighborhood for those seeking single family homes that are reasonably priced. Homes range in price from $165,000-#350,000 and sit on quarter -acre lots. Shady River is conveniently located just off 146 with easy access to Kemah, entertainment, shopping, dining, recreation and more. There is plenty to do near home so you never have to travel too far. Hwy 288 is also a short drive away. There were 12 homes sold in Shady River in 2017 ranging in price from $157,049 to $300,500. The median sales price was $218,500. The average days on the market was 32 and the average cost per square foot was $84.52. Students who live in Shady River attend La Porte ISD. Students in elementary attend Bayshore Elementary, middle school level students attend La Porte Jr. High and high school age students attend La Porte High School. Students living in Shady River attend La Porte School District. La Porte ISD serves the cities of La Porte, Morgan’s Point and Shore Acres, a small portion of Deer Park and Pasadena. The district also includes Lomax, which is now a part of La Porte. The school district includes 7,848 students. La Porte ISD district’s rating is 7 out of 10. There are a total of 13 schools within the district. Many of the schools within La Porte ISD show to be exemplary as well as recognized. There are still new homes being built in Bayou Lakes and there are many lots available. Some lots are on the water. Bayou Wildlife Park is 10 minutes away. Dickinson Bayou, Clear Lake and Galveston Island are easily accessible. Entertainment, dining, shopping, recreation and so much more are just a short drive away. Kemah Boardwalk is a short 15-20 minute drive away. There were 22 homes sold in Bayou Lakes in 2018 ranging in price from $247,999- $360,000. The median sales price was $293,250. The average days on the market was 81 days and the average price per square floor was $92.20. Students living in Bayou Lakes attend Dickinson ISD. Elementary aged children attend Lobit Elementary. Middle school aged students attend Lobit Middle School and high school students attend Dickinson High School. Lobit Elementary and Lobit Middle School are just across the street from Bayou Lakes. Bayou Lakes is close enough for students to walk to and from school. If you are looking to purchase a home in Bayou Lakes give the Freund Group a call 281-479-6683. 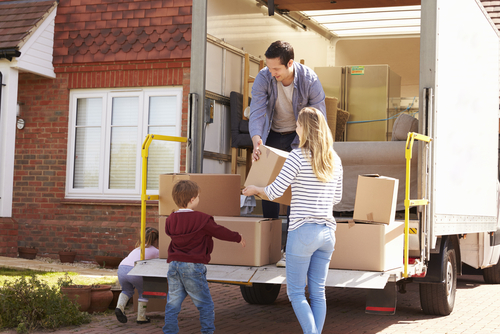 Whether you are excited about the new home you are moving to or maybe it's a not so pleasant move, moving can be the pits! Follow some simple tips and make your next move a little more tolerable! First and foremost, Choose WISELY. By saying this we mean be sure to have enough room for the things you are moving. If you are downsizing NOW would be a great time to have a garage sale or to start giving/selling things you can part with. If you are moving to a larger home, now is still a great time to get rid of things that are just laying around catching dust. It will be a start of all things new. Out with the old and in with the new! It may be time to part with that dining room chair that you said you would fix years ago or the "just in case the other breaks" microwave that is sitting in the garage. To add to the choosing wisely tip, be sure to choose the correct size of moving vehicle for the load. If you are moving an entire house full of furniture and belongings be sure to get a good idea of how big of a moving truck you will be in need of. MAKE A PLAN! Before you put away anything a box, create an itemized list of everything that should be done and FOLLOW it as you go. If you are using movers you should also take an inventory as you pack. Place labels on boxes of which room each box should be placed in. For the larger furniture place tags on the items labeling rooms for an easy move. COMMUNICATE: Once you have a plan make sure you speak and communicate with your movers and any people "fortunate" enough to help. The more information they have the less chaotic the move will be. If you are moving into a condo or an apartment, ask your landlord about any information you may need to know about moving. For instance, there may be service elevators that can be reserved for your moving day. The event is held at Paul Hopkins Park with free admission, parking and shuttle service. The festival is open nightly November 24- December 23rd from 6-8:30 pm weather permitting. The last inbound shuttle bus runs at 8:30 pm, outbound shuttle runs until the park is empty. All parking and shuttle buses are free of charge. Parking is located at Dickinson Plaza Shopping Center, Exit 19(HWY-517) I-45 feeder. While at the park there are many fun things to do in addition to looking at the wonderful lights. There is a cookie factory where you can decorate cookies for $1.00. The blinky hut is always fun with many items that flash and blink for $1-$5.00. If you are in the mood for some hot chocolate, popcorn, candy and more check out the concession stand with items ranging from $1-$4.00. Santa will make his appearance for photo ops. Free with your camera or you can purchase a photo for $5.00. Take a look at the calendar for exact dates and times. The Festival began as an idea between two neighbors, John Montgomery and Robert Morgan in 1998. The festival began with 100,000 lights and encompassed the triangle of property where the gazebo sits at HWY 3 and 44th Street. The Festival moved to its current location in 2003 due to it’s growing popularity and the needed room for the new displays. Now on it’s 21st year, the Festival is gaining more and more visitors and guests from all areas. For more information about Local Events, Real Estate, Tips and Advice and Local Real Estate News check out our Facebook page! Starting November 29th get into the Christmas spirit with the annual tree lighting ceremony at League City’s Helen Hall Library. Enjoy crafts, caroling, a visit from Santa himself, cookies, punch and lighting of the tree all starting at 5pm at Helen Hall Library. The event is free and this is a great time to make new memories with you family and friends. On November 30th enjoy Holiday in he Park Movie Night with an outdoor holiday movie. There will be entertainment beginning at 5pm followed by a movie in the heart of League Park. Bring lawn chairs, blankets and whatever else makes you comfy! December 1st enjoy the Holiday in the Park Festival with rides, food, vendors, snow, Santa and a petting zoo or the kiddos. The event starts at 9 am and 518/Main Street will be blocked at HWY 3. The children’s parade begins at 10am. The parade begins at 6pm. December 2nd starting at 12PM Holiday in the Park is back at it with a pet parade beginning at 1pm. The food trucks, vendors, and carnival will be up and running ready for you and your family and friends to enjoy! Why wait in hour long lines at the mall for a few seconds with Santa and a photo, head to South Shore Harbour. Photos times and dates are December 1,7,8,14 and 15th from 5:30- 7:30. 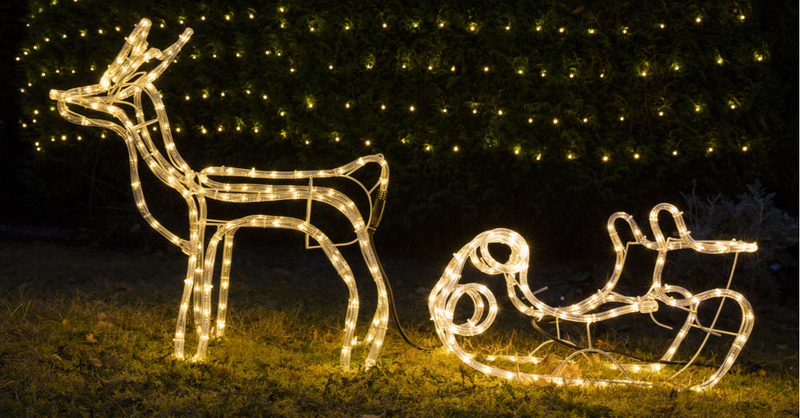 Enjoy breakfast with Santa on December 8th at Hometown Heroes Park from 8:30-11:30. Be sure to register prior to the event. Bring the family for pancakes with Santa and enjoy crafts, activities, and games. $10 for league City Residents and $15 for non-residents. Contact Ashley.Creller@leaguecitytx.gov. 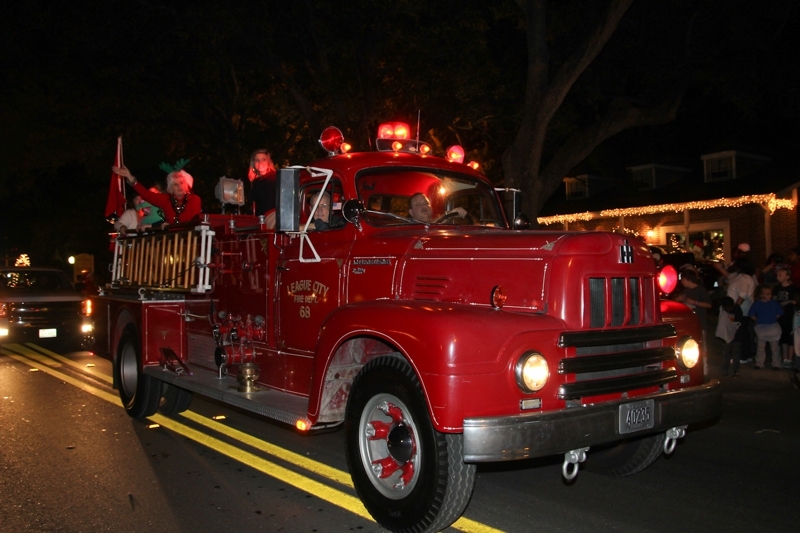 The Bay Area Christmas Lane Boat Parade is December 8th at 6pm. The parade gets underway in eh Nassau Bay Lagoon and League City’s South Shore Harbour Marina before traveling through the channel past Seabrook and the Kemah Boardwalk and out into the Bay. Be sure to line up early so you can get a good view. The Pasadena Livestock Show and Rodeo is kicking off this weekend September 8th with the PLSR Parade beginning at 10 am. The one-mile route on Spencer Highway will run from Spencer and Shaver and end on Dabney at Burke at the Pasadena Veteran’s Memorial Stadium parking lot. The 36th Annual BBQ Cook Off presented by Bud Light will take place September 13-15th. The cost is $13.00, and the event starts at 5pm on the 13th. There will be over 200 cook off spaces, plenty of vendors and a carnival. The cookoff starts Thursday night and runs through Saturday night. The event helps raise money for Educational Scholarships. The Livestock Show runs from September 19th- September 29th, with many events along the way. Some of the shows/events include ac calf scramble, rabbit show, hog show, lamb show, goat show and more. September 21st kicks off the rodeo with featured performances throughout the week and weekend. Performers include; Kevin Fowler, Bag of Donuts, Robert Earl Keen, Parker McCollum, The Bellamy Brothers, Jake Bush, Chad Cooke Band, Justin Taylor Band, David Joel, Shayne Still, and Darwin Macon. There are many fundraising events including a golf tournament, bowling tournament, steak off, beauty contest, dance and PLSF Fun Run. All events go to benefit the Youth and Education of the Pasadena, Deer Park, La Porte and Clear Creek School Districts. As Realtors we are often asked about aesthetics of a home and what can be done to help the home to appeal to everyone. 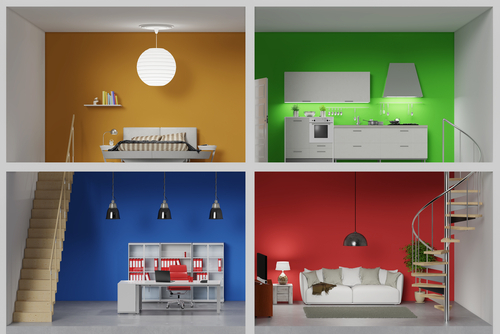 One of the questions we sometimes come across is, “what color should I paint my walls, so buyers will feel at home?” There is not one correct answer to this question but with some color psychology you can get a better idea on what colors will help your home feel more inviting to potential buyers. Everyone reacts to colors differently. A bright yellow room may be scary to a child but a joy to an adult. A room painted green may trigger happiness for someone and The Blues and disgust for someone else. Advertisers often use colors to trigger their audiences. We can’t make everyone happy with our color choices, but we can try to appeal to many.